Norway will end FM radio broadcasts in 2017. If you’re a fan of Jack Benny or the Shadow, you’d better sit down because this is gonna be rough. Norway’s minister of culture announced Thursday that the country is going to end FM radio broadcasts on Jan. 11, 2017, in favor of digital radio. The switch will be similar to the digital TV transition that happened around the world, including in the United States, over the last decade. Norway seems like a reasonable place to pilot a digital radio transition because, according to Radio.no, it has only five FM channels. The country’s Digital Audio Broadcasting (DAB) service, on the other hand, already has 22. In the U.S., the FM band has 101 channels, 80 of which are used for commercial broadcasting. A TNS Gallup poll indicates that 56 percent of radio listeners in Norway use DAB, and 55 percent of households have at least one DAB radio. 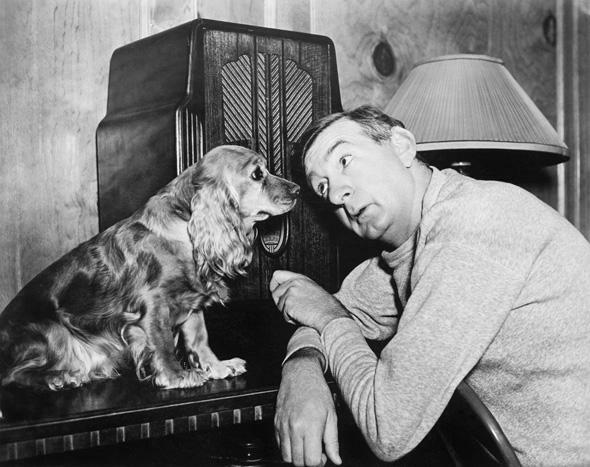 Gizmodo points out that a 2012 Pew Study showed that 92 percent of Americans 12 and older still listened to AM/FM radio at least once a week. But the numbers seemed to be on a slow decline from 2001, when 96 percent had reported listening once a week. AM popularity has certainly been down for years. If we’re being realistic, it’s no surprise that radio is in the early stages of consolidating and converting to digital transmission. Say good night, Gracie.